A few days ago, Rajinikanth was back in town after completing the first schedule for the movie, being produced by Sun Pictures. It may be recalled that the resort where Rajinikanth was put up in Kurseong near Darjeeling now has a villa named after him. He was given the Directors Bungalow at a resort, which was recently renamed as Rajinikanth Villa #3 in his honour. 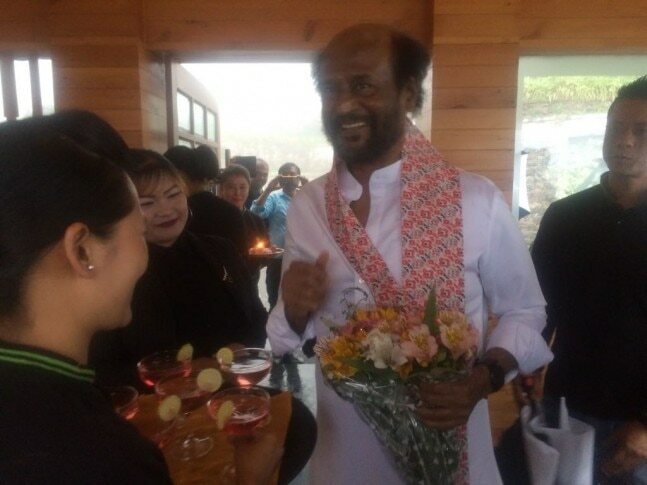 A tree has also been planted in the superstars honour within the premises of the resort. Whats more, his favourite tea from Chia Bar, the resorts tea lounge, was renamed as Thalaivaa Special! On Sunday, Rajinikanth met the press in Chennai and said projects Salem Green Corridor are necessary for development of the State. It evoked sharp responses from many quarters. He also endorsed 'one nation one election' idea. The actor also met office-bearers of his Makkal Manram during his stay in Chennai.